Style Kloset was founded in 2013. Trina Lynskey Donovan and her partner Debbie Maher saw a niche in the market and decided to create a warm, relaxed, friendly, environment with personal advice and service to find the perfect outfit for every occasion, to suit every style and budget. Trina, who has more than 25 years' experience, has remained true to Style Kloset's vision that pays homage to outstanding innovative fashion designers. With the loyal support of valued customers Style Kloset has become a rare Mecca for the fashion conscious working woman and mother looking for something classic but edgy, and a little bit quirky. 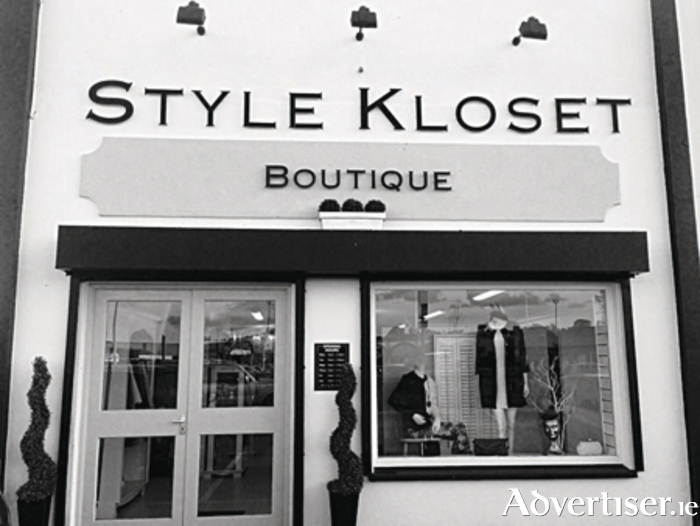 Style Kloset has grown and matured into one of the defining innovative and creative fashion destinations in Galway, finding and developing the latest trends. The boutique offers a relaxed, unhurried, atmosphere in which to shop, almost a plush Parisian feel for the woman who wants to look and feel fabulous in hand-picked labels. At Style Kloset you will find all your wardrobe must-haves. The one trend that is followed at Style Kloset is that of beautiful clothes, shoes, and jewellery. Style Kloset boutique is located in Westside Business Centre, opposite Dunnes Store's in Westside.